Natural phenomena, and things you see around you. 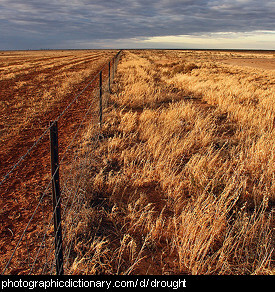 A drought is an extended time where lower than normal amounts of rain falls. During a drought, rivers and lakes can dry up, and many plants and animals die.